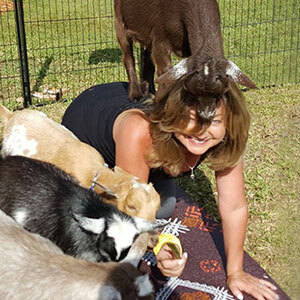 Only 20 spots available per Goat Yoga class! Please register to reserve your spot! Getting and staying in shape with yoga is one thing, but yoga classes with certain “personalities” that insist on being at the highest possible level—at your expense—is another thing entirely! Join us for a hilarious good time of trying to get through a lovely outdoor yoga class with a bit of an additional challenge. Granted, participants are actually the cause some of the antics because they share a favorite treat with our adorable, four-legged friends, but what ensues is highly unpredictable! Ninety-minute, Goat Yoga classes are offered on weekends, usually starting in the late morning. 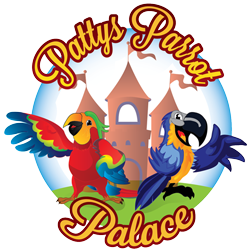 Bring a friend and a sense of humor! Book your spot here online. Only 20 spots per class! 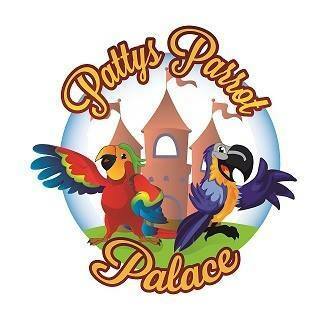 © Copyright Patty's Parrot Palace, Inc., a 501(c)(3) non-profit organization. Sitemap Website powered by WordPress and ColdFusion. Design by A7.